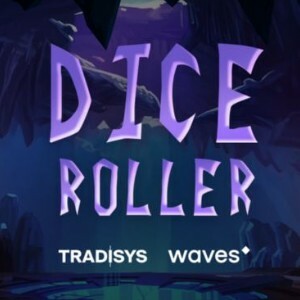 Tradisys takes steps further into the blockchain gaming sphere with yet another creation — Dice Roller. This game runs on smart contracts, so you can rest assured that the system is fully decentralized. You always have the option to check what is behind as you play since there is real-time transparency. The thing is, there is no free-play option. To give the game a try, you will have to use WAVES. So make sure you have a Waves wallet. Note as well that installing the Waves Keeper browser extension is necessary. Without a wallet and the extension, you cannot play. But once all these requisites are in, you can start betting 2, 5, 10, 15, or 20 WAVES per roll. 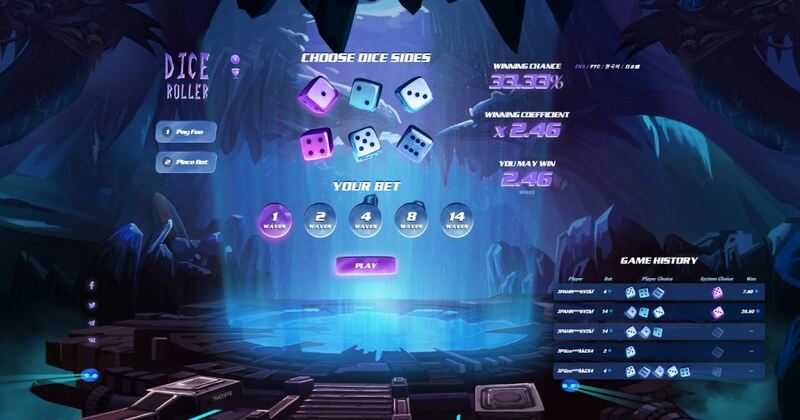 Unlike other dice betting sites, Dice-Roller.io presents a betting system that lets you choose up to five over six dice sides. The more sides you choose, the higher your winning chance is but the lower the prize you may win. These mechanics make it easier for you to keep playing. Read on to find out if you should include this dice site on your list of best betting portals. You cannot expect any bonuses, promotions, or crypto faucet on Dice Roller. All you can grab are the winnings when you guess the right dice roll outcomes. Since your Waves wallet is connected to Dice-Roller.io, payments are direct. Indicate the bet amount you prefer for each roll, and you will easily see the amount you will win when you guess the right outcome. Each time you win, you will have to wait just one block confirmation or one minute before the indicated prize goes directly into your account. WAVES is the only cryptocurrency accepted by the betting site. Definitely, Dice Roller is a recommended betting site to Waves wallet holders who want a simple and fast betting experience. There are no bonuses, but this is set off by the fairness and transparency featured by the site. But if you do not like betting with WAVES, and you would rather bet with Bitcoin, then check out our list of other dice betting sites where you can play.